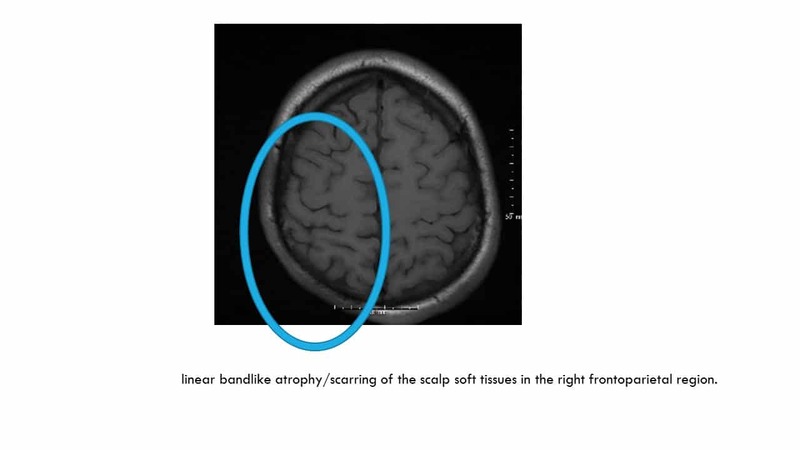 The patient was a healthy 17 year old who had been noticing a blurred vision in his right eye. It started with floaters 3 months prior to presentation. He was seen locally before being referred to Illinois Retina Associates. Vision was 20/40 in the right eye and 20/20 in the left. Intraocular pressures were normal in both eyes. The anterior segments were unremarkable including an absence of cells. There were 1+ vitreal cells in the right eye and none in the left. The right eye macula (Figure 1) and posterior pole (Figure 2) are shown below. The left posterior exam was unremarkable. 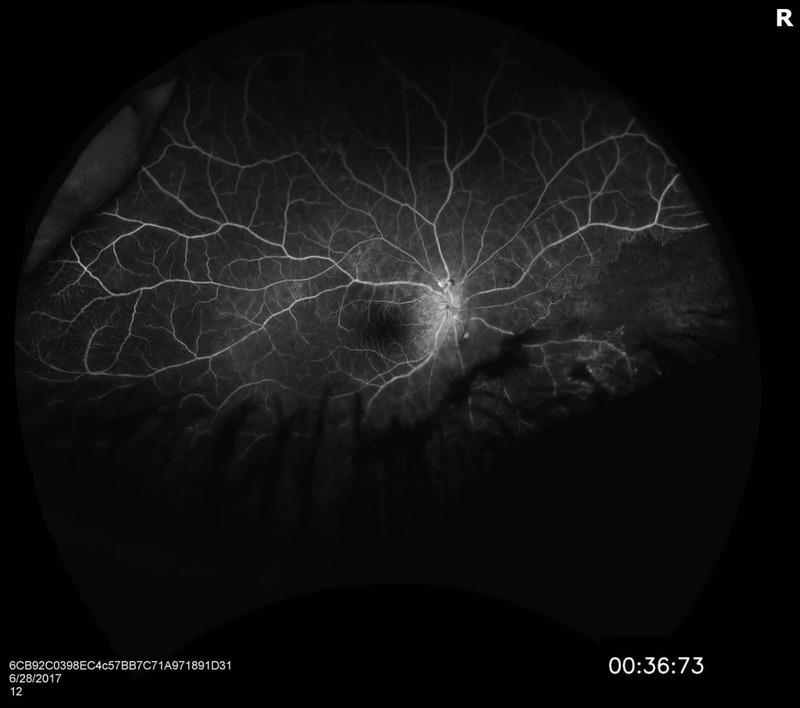 FA showed increase vascularity over the disc and capillary dropout inferonasally in the right eye. 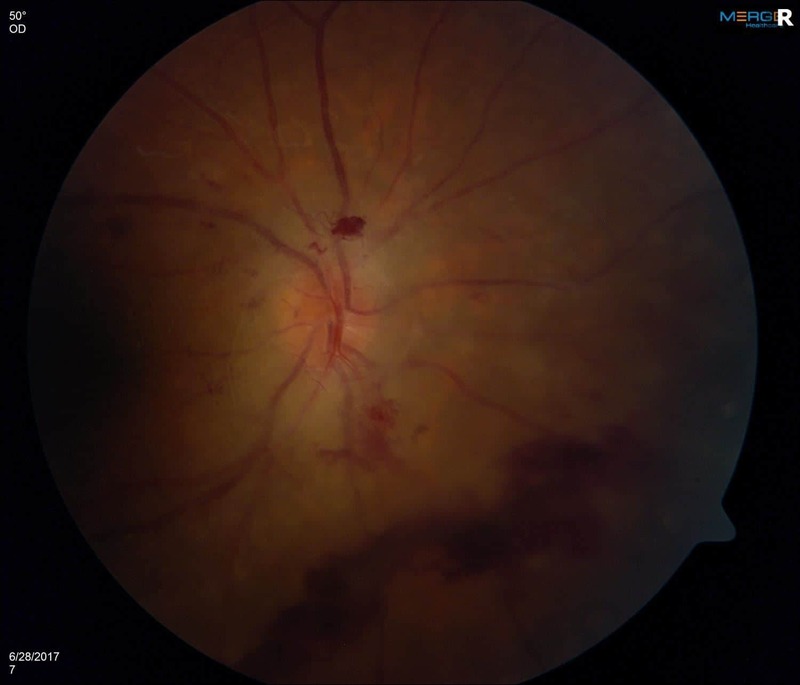 The patient was started on oral methotrexate and his vision and exam improved. 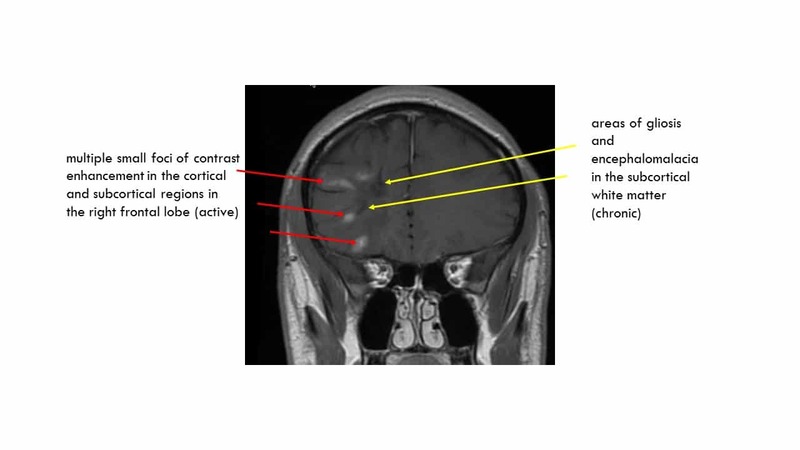 Parry Romberg Syndrome is a rare condition characterized by progressive atrophy of one side of the head and face.The most common sign is subcutaneous atrophy, which is especially striking later in the disease course, but other structures, including the brain and eye, may be affected. The most common ocular manifestation is enophtalmos followed by eyelid dysfunction related to the facial atrophy. 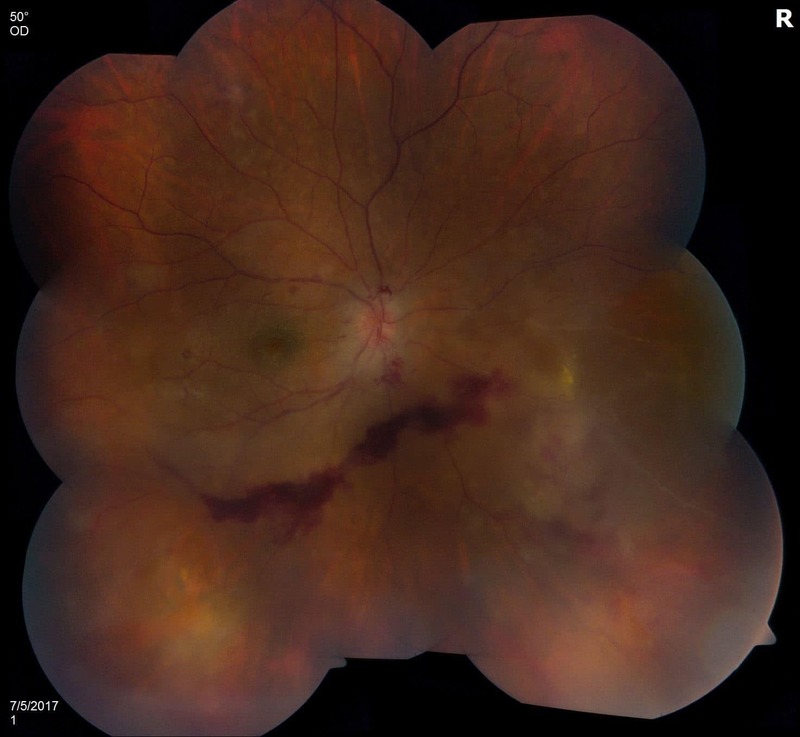 Retinal vasculitis related to Parry Romberg has been reported but is quite rare. Immunosuppression has bee shown to be helpful in some of these cases. Bucher F, Fricke J, Neugebauer A, Cursiefen C, Heindl LM. 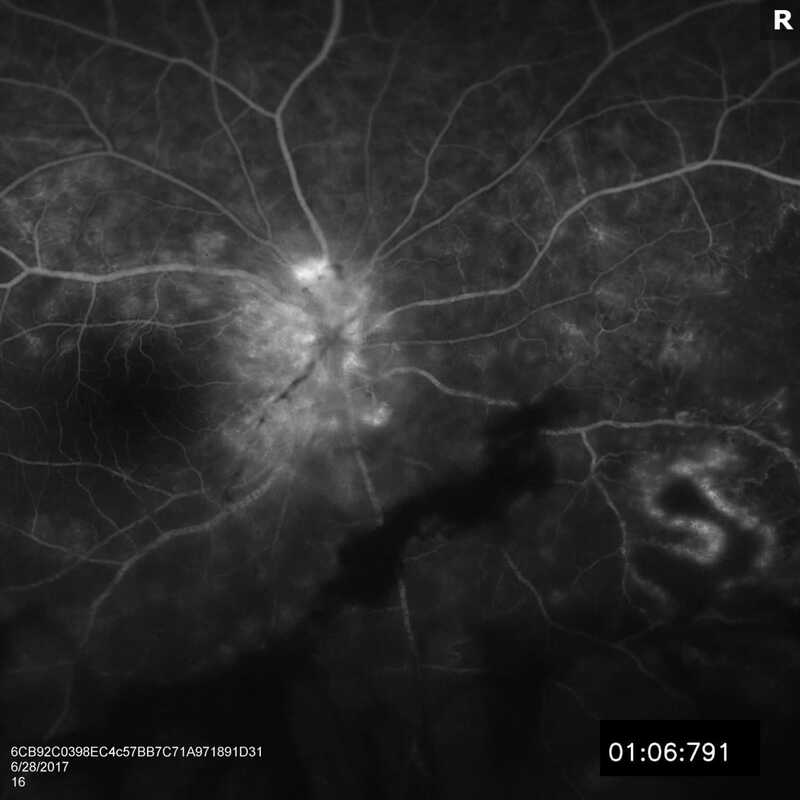 Ophthalmological manifestations of Parry-Romberg syndrome. Surv Ophthalmol 2016; 61:693-701.